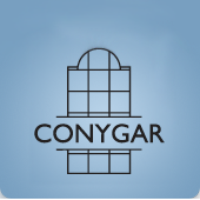 Conygar Investment Company PLC (LON:CIC) Chief Executive Officer Robert Ware and Chief Financial Officer Ross McCaskill caught up with DirectorsTalk for an exclusive interview to discuss their preliminary results. Q1: You’ve just published your preliminary results for the year ended 30th September, quite a few changes have occurred over the year. Can you talk us through what you consider to be the key highlights? A1: One of the key highlights is the fact that we’ve realised £25.5 million from the sale of the REIT shares, obviously that crystallises all of the investment property portfolio for sale now. Other key points would be the planning application which we submitted to Nottingham City Council for the planning application for over 2 million square feet for a mixed use scheme there in the city centre. In addition, we’ve sold and forward sold a number our investment properties under construction and I think that’s a key development to the year so far. Q2: Even though you wrote down two properties, the balance sheet looks strong with cash deposits of £49.3 million and construction and development totalling around £70 million. Can you outline the key areas in the development pipeline that Conygar Investment Company will be focusing on? A2: I would say, again, to reiterate the fact that Nottingham is probably the most exciting project in the portfolio but in addition to that we have some very exciting projects in North Wales which will be very successful if the nuclear power station goes ahead. If it doesn’t, we will go back to our original plan which was to build some flats for tourism in Holyhead. We then have another site in Rhosgoch that’s 203 acres, we acquired that about 3 or 4 years ago, but it was only about £3 million so it wasn’t an expensive price. Horizon Nuclear Power have an option on that land and if the nuclear power station goes ahead, that could house many workers, it can have many different uses so that’s another key area. We’ve also acquired Selly Oak in the year so that’s a new property into the portfolio, again this has some redevelopment opportunities but at the moment we’re collecting rents so that’s quite good that we’ve got income there. Q3: Now, I know you’re looking for other opportunities, do you have you eyes on anything at the moment? A3: We are looking at some things, I can’t divulge what they are at the moment but there are some very interesting opportunities around. I think, given where we are in the market, we’re at the end of the cycle, there are very interesting opportunities coming on line now, they key is to find the right one and use the cash sensibly. Q4: So, what is the criteria when Conygar Investment Company you look for these opportunities? A4: We don’t want to gamble so we would look for opportunities where we would basically buy the land or properties cheaply and we could have multiples of our capital, that’s the key criteria for us. We’re not looking for long-term income or anything like that on the whole, we’re looking at opportunities where we can make the capital work hard for us if you use our transaction skills to crystallise significant return. Click CIC for the full archive.